If you are planning on doing business in Myanmar one necessary resource in your armoury of data is the informative reports published by Hong Kong-based Conventus Publishing (Asia), under the Conventus Law brand. Produced in association with Duane Morris & Selvam, the first US-based firm to open a law office in Myanmar, Doing Business in Myanmar delivers key business and legal insight for investors either entering, or already doing business in Myanmar. The latest report from the firm comprises a series of concisely written text and easy to understand infographics and charts covering three key areas: the Myanmar business climate, updated Myanmar laws and legislation, and Myanmar as a foreign direct investment destination. To ensure prospective investors/ business owners get the big picture there is also an ‘introduction to Myanmar’ section. Foreign-owned companies in Myanmar increased by almost 200 per cent between 2005 and 2016 – from 2,120 to 6,223. 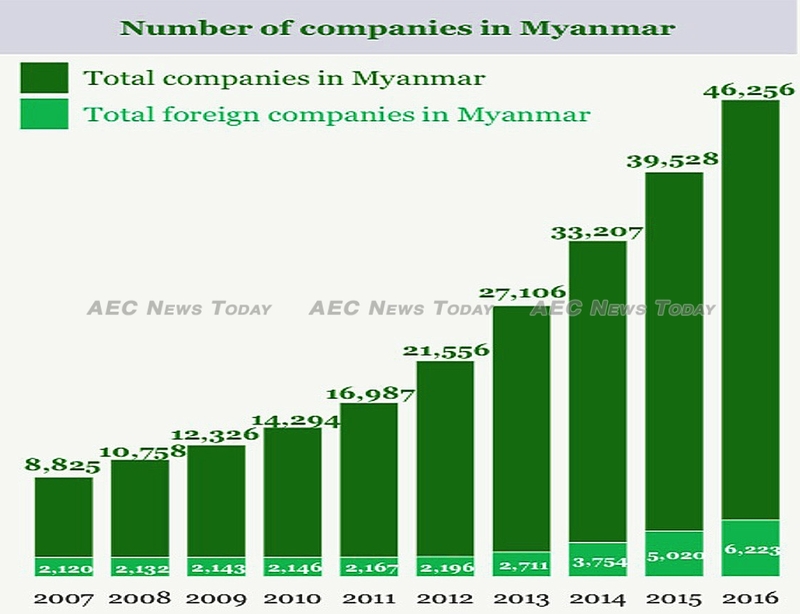 According to Doing Business in Myanmar the number companies in Myanmar increased five-fold between 2007 and 2016 – from 10,943 to 52,479, while the number of foreign-owned companies in Myanmar increased by almost 200 per cent between 2005 and 2016 – from 2,120 to 6,223. With investments totalling a little more than $18 billion China tops the Myanmar foreign investment list, with those from Singapore a distant second at a total of 11.647 million, followed by Thailand with projects totalling $9.188 million. The report also highlights some of the various initiatives implemented by the Myanmar government over recent times to improve the business environment. These include reducing the number of days required to start a business from 76 days in 2014 to 13 days in 2016; modernising the Financial Institutions Law, and introduction of a Myanmar Investment Law with a new and improved legal and regulatory framework. Amongst the wealth of information available on the Doing Business in Myanmar portal is GDP growth history (18 per cent over the past decade), growth in foreign investment over the past decade in raw dollar terms and percentage increases, in addition to a list of which industries have been attracting the most foreign interest. In addition to the easily comprehended charts, graphs, and infographics, the Doing Business In Myanmar portal also contains a video section with additional information covering a range of topics dating back to 2014. According to Conventus Law the report is designed to deliver key legal insights and business data to investors doing business in Myanmar and has been designed so that information can be constantly updated as new data becomes available. Amongst the tips those intending to do business in Myanmar will glean from the website are ‘Don’t rush through a transaction’, ‘Don’t rely on financial records’, and above all else the report cautions, ‘make sure you have conducted thorough due diligence and picked the right partner’. 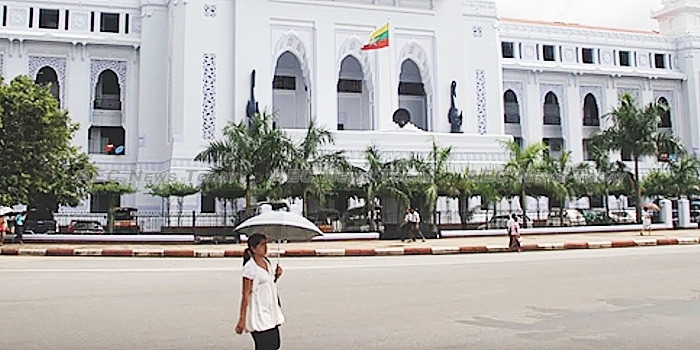 Although designed to provide would-be investors with information aimed at reinforcing Myanmar as an attractive destination for foreign investment, the Doing Business in Myanmar portal doesn’t shy away from the difficulties also. Amongst the challenges investors doing business in Myanmar face it says are ‘delays in government administration’, ‘corruption related risks’, and ‘reputational risks’ (from doing business with the wrong local partner). In a statement issued by Conventus Law announcing the new report format the company said the idea behind a website-based report versus a simple PDF file or other format is to allow information to be constantly updated. More importantly, those with an interest in doing business in Myanmar are able to contribute, and interact with the contributors. 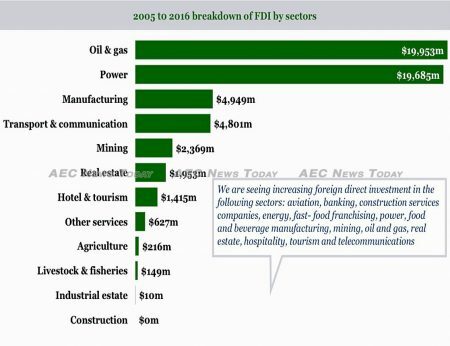 With the Myanmar Investment Commission reporting earlier this month that more than US$3.7 billion in foreign direct investment (FDI) flowed into Myanmar from 112 foreign companies in the first four months (April 8 – August 8) of the current financial year, equivalent to almost 50 per cent of the annual target, the Doing Business in Myanmar report/ website is likely to prove extremely popular with would-be Myanmar investors largely do to the clear and concise manner in which data is displayed, and because access is free.